At Longthorne we do all our own stock fitting in house on our prestige range of true sidelock guns. We do a fitting once your stock blank is roughly machined and headed up (this means that we can fit an action to it). The fitting usually takes 1.5 to 2 hours and during that time your stock blank will be hand shaped to ensure that when you mount your gun the point of aim and the point of impact should coincide. Careful consideration is given to the length of the grip and diameter of the wrist, trigger finger positioning, comb height and cast. 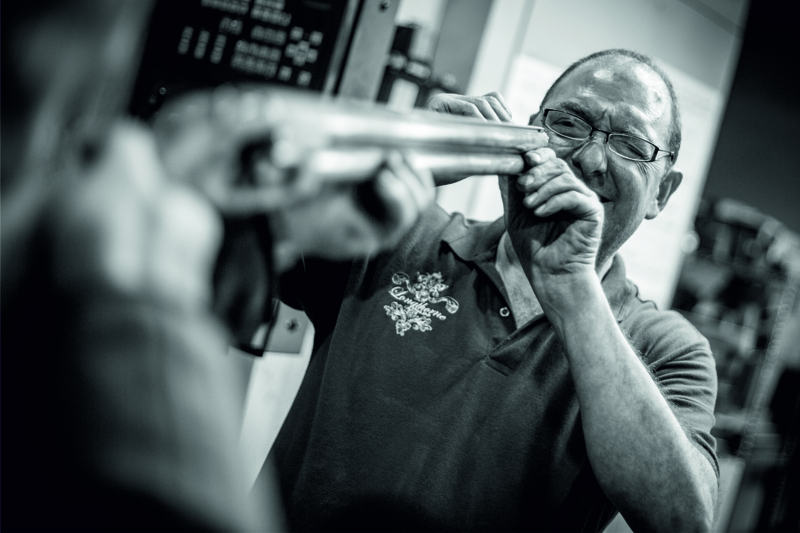 As a CPSA level 1 instructor you can be sure that you are in good hands with James Longthorne Stewart for your gun fitting and/or any instruction given. Cost of a lesson is £100 for the first hour and £80 thereafter which includes 'reasonable' travel and vat. If you would like to know more about lessons with James please contact us.